Meals to Heal works with Walgreens, the nation’s largest drugstore chain, to help cancer patients and others with chronic conditions access customized nutritional meals and nutrition support services that can support care needs and improve quality of life during treatment. We are thrilled to collaborate with Walgreens, one of the pre-eminent health and wellness companies in the world, and believe that their patient care goals are synergistic with Meals to Heal’s mission of making patient lives easier and less stressful. Meals to Heal’s weekly nutrition solutions are available for order on Walgreens.com at a 10 percent discounted price for patients in need and supporting caregivers. 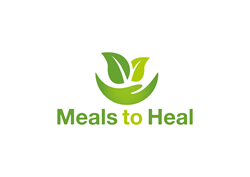 Meals to Heal provides home delivery of healthy, nutritious and individually customized meals in the 48 Contiguous United States as well as other nutritional resources including telephonic nutritional counseling by a team of oncology-credentialed registered dietitians and safe, evidence-based nutrition information and resources. The company’s meals include heart healthy and diabetic friendly options and are appropriate for patients with cancer and other chronic conditions and who need assistance with meal preparation due to fatigue and lack of energy. For more information or to order weekly meals through Walgreens at a discounted rate, visit http://www.walgreens.com/topic/pharmacy/caregivers-info.jsp.